This Article Focuses on the methods and ways to transfer your content from Pc to your IPhone. 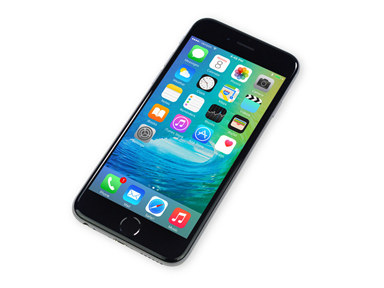 As mentioned there are several iPhone Models released up till 2016 and most of the users would upgrade their old iPhone to a newer version. So that is why you need to use iPhone transfer function. 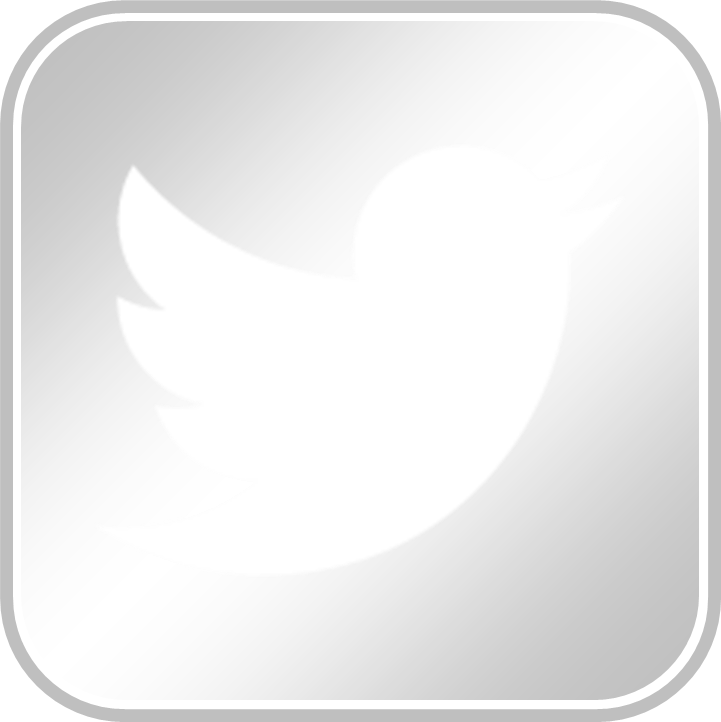 There are Cases where an Android phone user might want to Switch to an iPhone for better user experience, in such cases data transfer from your old android device to new iPhone is necessary. And most of the users don’t even think about shifting to a new device because of the hassle they think, they will have to go through for content transfer between the devices with different Operating Systems. In today’s age of mobility our mobile data is very important to us, and there are scenarios where you phone might get damaged, stolen or you might face a software Issue in such cases, it is very important that to backup your data once in a while. If you are an iPhone user, Wondershare TunesGo is an app you must have with Installed. 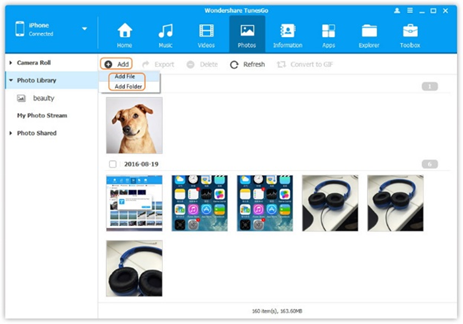 Wondershare Tunes Go Backs up and Restore your contacts, Messages, Calendars, Call logs, Music, Videos, Photos, Apps and App data effectively. 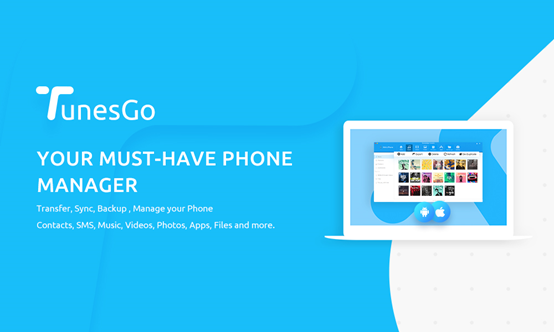 TunesGo Supports all of the iPhone Models Plus, you can transfer data from one phone to the other using Phone to Phone Transfer Feature The app is very easy to use with the simple and easy interface. 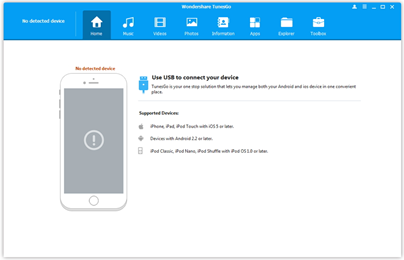 You must download and install Wondershare TunesGo, After the Installation is complete Simply click and Launch the software. Now that you have Launched the application Simply connect your iPhone to your Computer Using a USB cable. TunesGo will Automatically detect the device and display as it is connected. On the Top Main Screen, you have Selections for Music, Video, Photos etc. 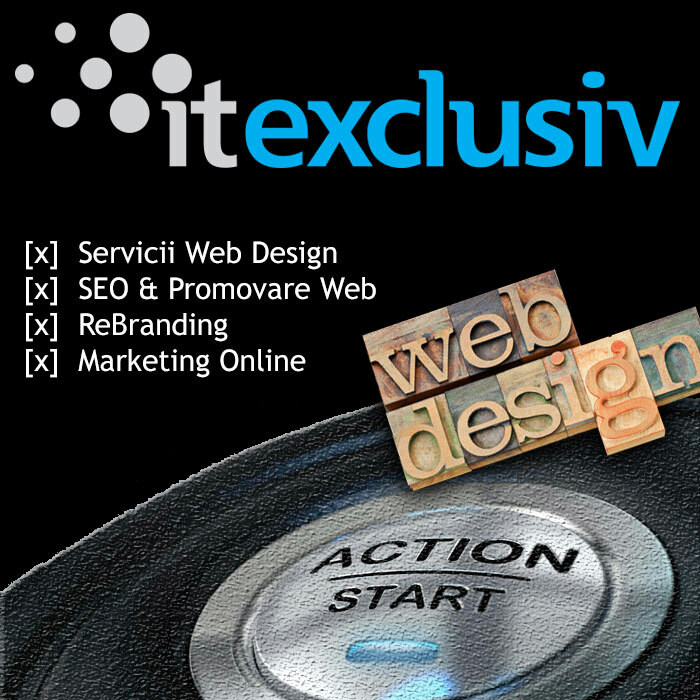 These selections are for specifying the type of data you want to transfer from your PC, in this case Suppose we want to transfer music from our PC to an iPhone, we will simply click the Music tab on the top and in Music Window simply click the add button to add a single file or a folder containing music files. Once added the files will be imported to your phone. picture file or folder containing pictures. 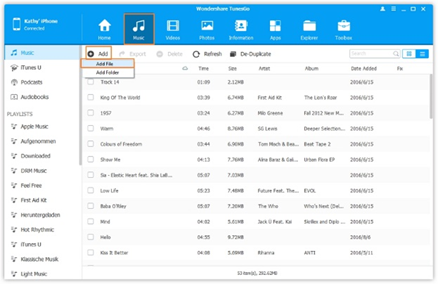 Using Wondershare TunesGo you can Transfer any Music file from any computer to desired Apple Device including IPhone, IPad, IPod, and any Android Device easily and effectively. TunesGo Supports more than 30 Music and Video Formants which you can easily transfer. Most of the Software out there won’t even recognize your files which you want to transfer but you won’t be having such problems with TunesGo. Using ITunes you can transfer Music Files from your Computer to device with converting the existing files, that’s why we call it one-way synchronization tool. While Tunes go transfers data from computer to device and from device to computer without any conversion, that is why we call it a Two-way Synchronization Tool. Using TunesGo, you can fix the ID3 tag which is a container within a Music Mp3 file. This data contains details such as Artist name, Song Name, and Year, In Most of the cases the mp3 files with damaged ID3 will not be imported into iTunes such problems are time consuming because ITunes will refuse to import the file until the file is fixed, but with TunesGo you won’t be facing any of such problems. Perhaps the most interesting feature of TunesGo is that you can remove duplicate Tracks and Contacts in your list with the single click to De-Duplicate button. This article guide has covered most effective techniques to transfer your data from your PC to your IPhone though there are many applications out there, that might offer the data transfer but as mentioned TunesGo outstands due to Features like extensive format support, duplication removal, two-way synchronization plus the software interface is very interactive and easy to operate. TunesGo effectively transfers your data without any Loss. 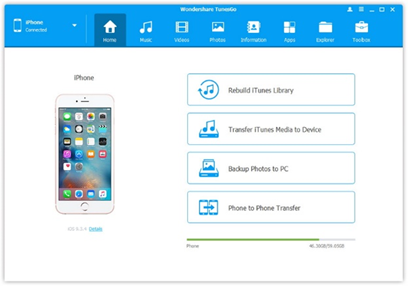 Though ITunes enables you to transfer the data from PC to iPhone but there are so many limitations for that reasons TunesGo is perfect Alternative for PC to iPhone data transfer.